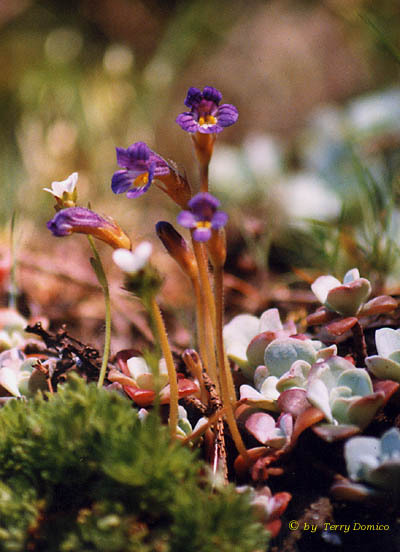 A dweller of rocky outcrops and slopes has purple flower with an orange interior that blooms in April and May. It is a leafless parasite of Stonecrop (Sedum sp.). Broomrape is small in size, growing to 2-2 1/1 inches high. Photo by Terry Domico.